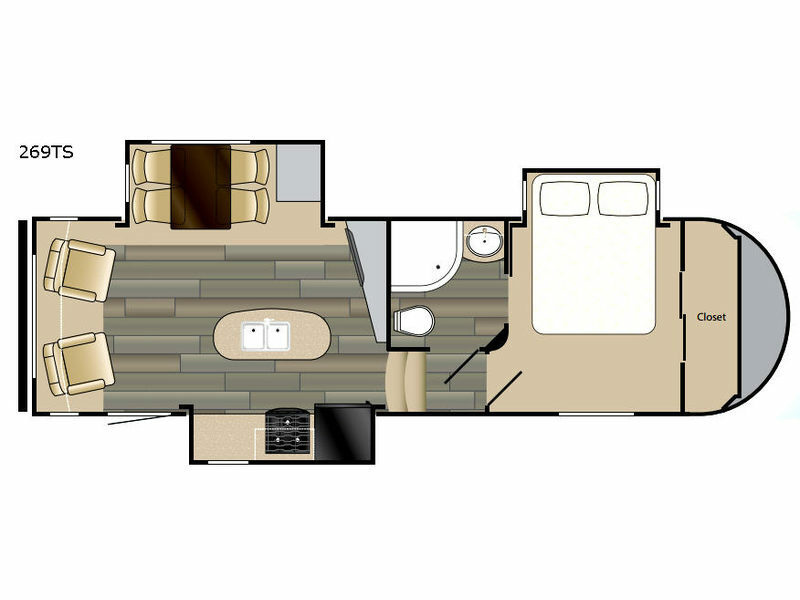 This Sundance mid-profile fifth wheel is a great couples coach which provides a roomy interior that you are sure to enjoy. The triple slides are all flush mounted slides so there is no bump on the floor to trip over when your slides are fully extended. You will enjoy a complete kitchen including a handy island where your sink is located, and stainless steel appliances as well. There is plenty of storage throughout with a large closet in the master bedroom, a pantry, plus overhead cabinets in the kitchen area as well as across the entire rear of the unit making it easy to keep things tucked away when not in use. All Sundance mid-profile models are lightweight 1/2 ton towables featuring aluminum construction, laminated walls, and a painted fiberglass front cap. 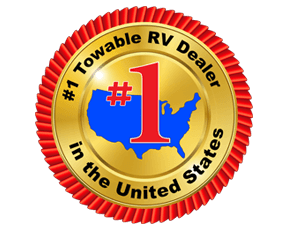 You will appreciate the universal docking center and Mor/Ryde suspension for easy hook-up and smooth towing! Once you are parked and set up, you will enjoy a very functional and comfortable interior with luxuries like stainless steel appliances, LED interior lighting, flush floor slides, and so much more. Choose Sundance for your next outdoor adventure!